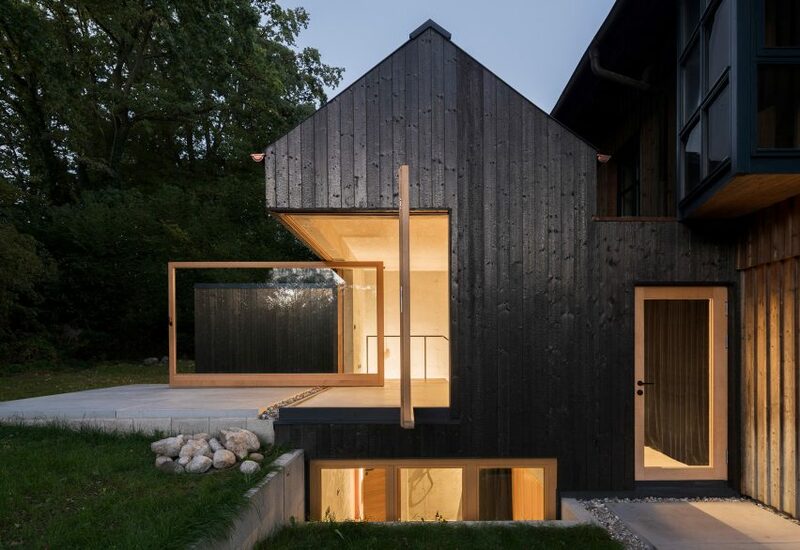 The Black House by German architect studio Buero Wagner is a stack of differently sized rooms clad in blackened wood extending a house close to Lake Ammersee in Munich. 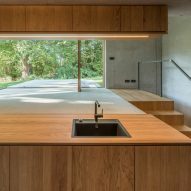 The lake house extension comprises a bedroom, kitchen and living space that was designed as a repost to the typical architecture found in rural Germany. 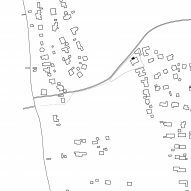 "Rural areas in Germany are often characterised by urban sprawl, faceless villages and generic detached houses," said Buero Wagner. 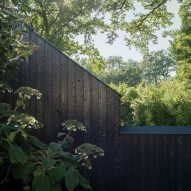 "A contrast is formed by a small black house that stands out from its surroundings solely on account of its carbonised facade." 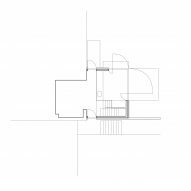 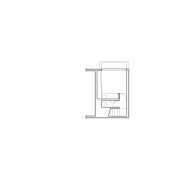 Using the topography of the site, the stacking of rooms presents an externally legible arrangement of spaces – such as a basement and terrace – that blend together internally to form large, overlapping spaces. 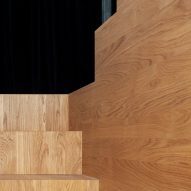 "Spaces and uses form one fluid entity, creating a variety of spatial situations," said the architecture studio. 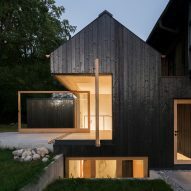 "The house plays with aspects such as inside and outside, top and bottom." 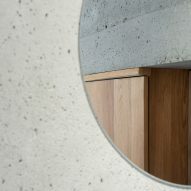 In the kitchen and dining area, a step in level provides space for countertops, with a small staircase leading to the living space above, which extends out to form a concrete terrace space. 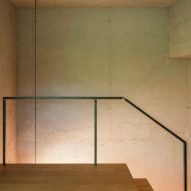 A staircase leads down to a basement bedroom with an open bathroom, which overlooks a small light well, located alongside the main entrance to the house. 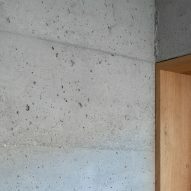 At the northwest corner, the concrete structure has been cut to create a large opening with pivot windows that allow almost the entire corner to be opened onto the terrace, creating a connection with the small forest nearby. 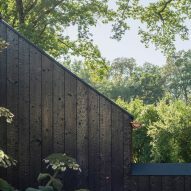 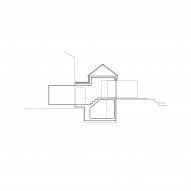 The main part of the extension has a gabled roof, with a small mono-pitched section connecting The Black House to the existing home. 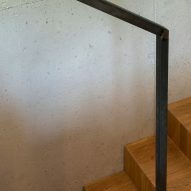 "Unobtrusive" materials and finishes have been used throughout. 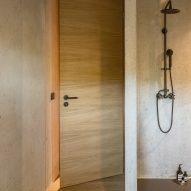 To contrast the charred wood cladding, interiors are lined with oiled oak, and the concrete structure has been left exposed and sandblasted. 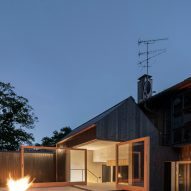 The home is not the first to take advantage of Lake Ammersee's setting – in 2011, Bembé Dellinger completed a cantilevering villa overlooking the landscape. 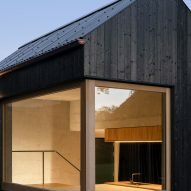 Photography is by Florian Holzherr.